It's dangerous how easily I can fall for something. And this month, I wanted to spotlight something one-of-a-kind which (warning) you might also fall in love with: Me & Zena. 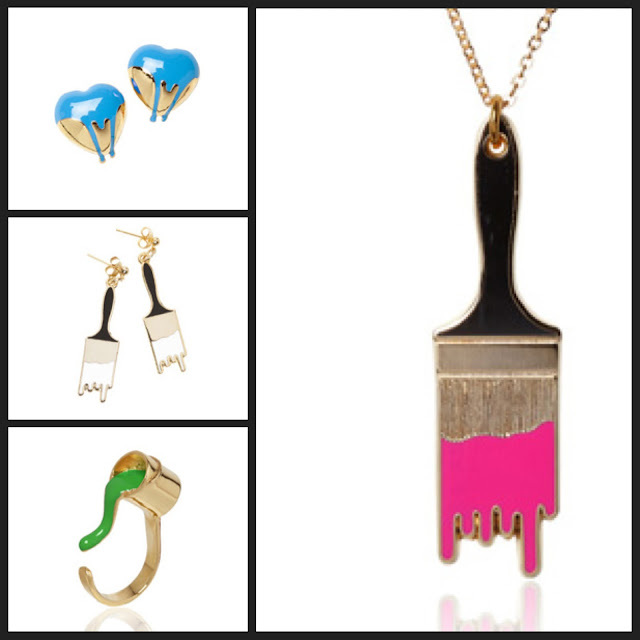 Zena's designs are unique, fun, loud, statement pieces guaranteed to make you smile (or even giggle). 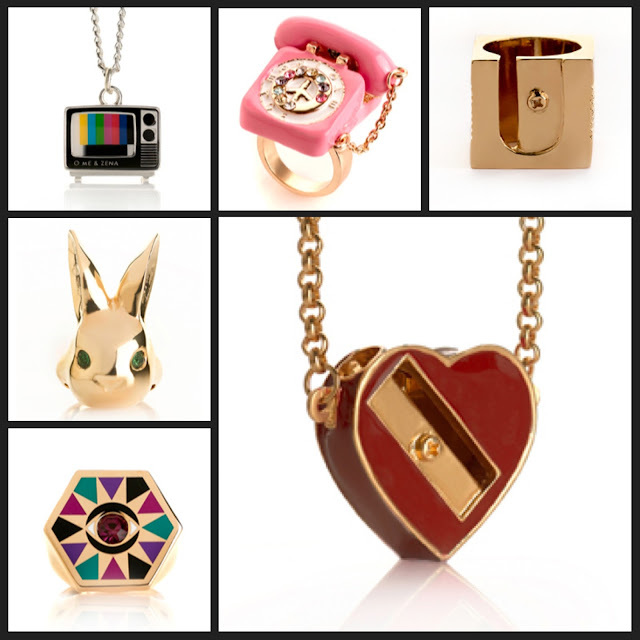 I wanted to showcase Me & Zena's most recent collaboration collection titled Me & Zena x Saatchi Gallery as well as my wish-list which includes an old school telephone ring and heart sharpener necklace which I can't wait to get my hands on. The wise always say when in doubt don't. But with these gems, why would you ever doubt? !